Several years ago, my community, the Congregation of St. Joseph, granted the Center funds for a program that would create systemic change for its staff and students. The focus of the project became the pervasive problem of gender and generational violence. The project we funded continues to this day and has expanded with the creation of self-help groups for women and, more recently, male reflection groups. Candido works at the Center transporting students and visitors. As a staff member, he was asked to attend the class on gender and generational non-violence. He went closed-minded, with arms folded across his chest, saying, “I am here because of my work. 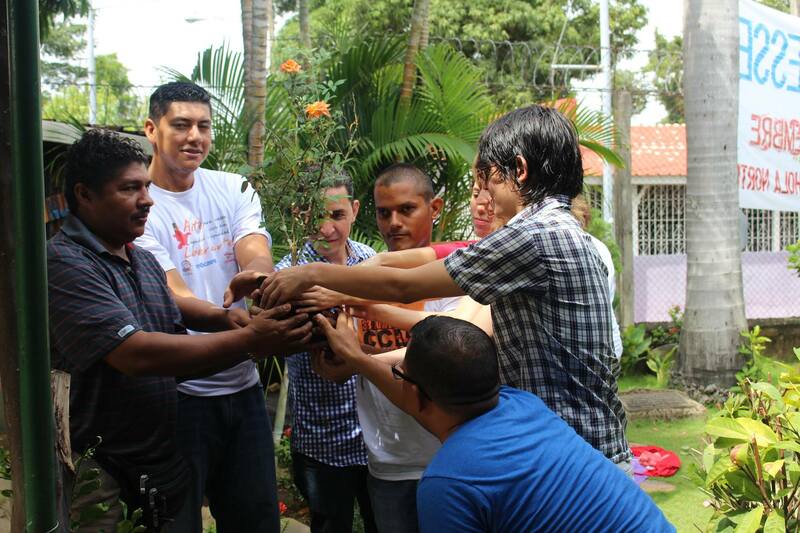 They sent me here!” As Candido participated in the workshop, he was transformed. He recognized ways that he had been controlling his family and saw how he was treating his daughters differently than his sons. He has put behind him what are considered culturally accepted male behaviors. Melvin came to the Center as a scholarship student. He grew up in a violent home environment. Because of the Center’s dedication to non-violence, Melvin developed a better sense of how to live without resorting to violence. He, too, is a changed man, because of the Center’s programs. As Friends of Batahola, we must all continue to fund the Center’s anti-violence programs…for the sake of families. 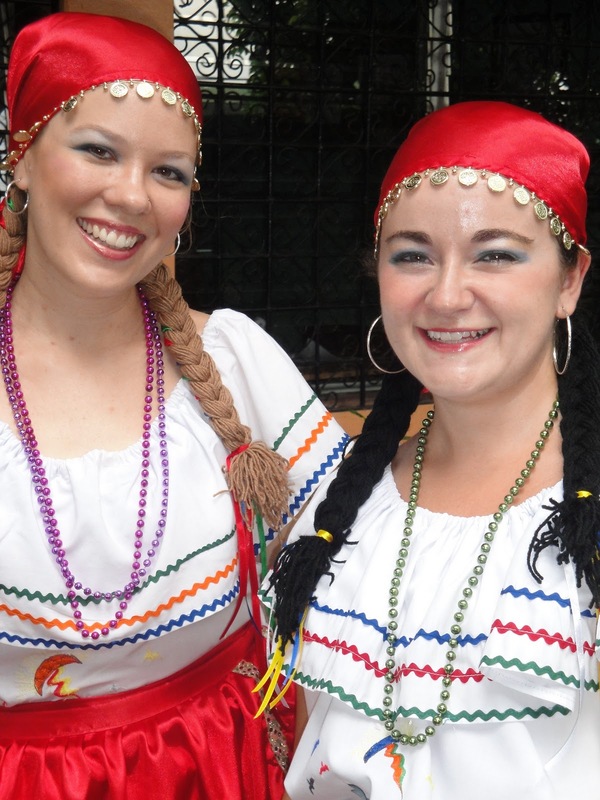 Two hundred women will benefit from the recent Global Giving campaign. The women pictured here are enrolled in the Center’s adult basic education literacy classes. In June, the Center ventured into new terrain by launching its first-ever crowd-funding campaign. The Center was accepted by Global Giving to participate in its June Open Challenge, where organizations and non-profits competed to raise at least $5,000 from 40 or more donors for their causes. 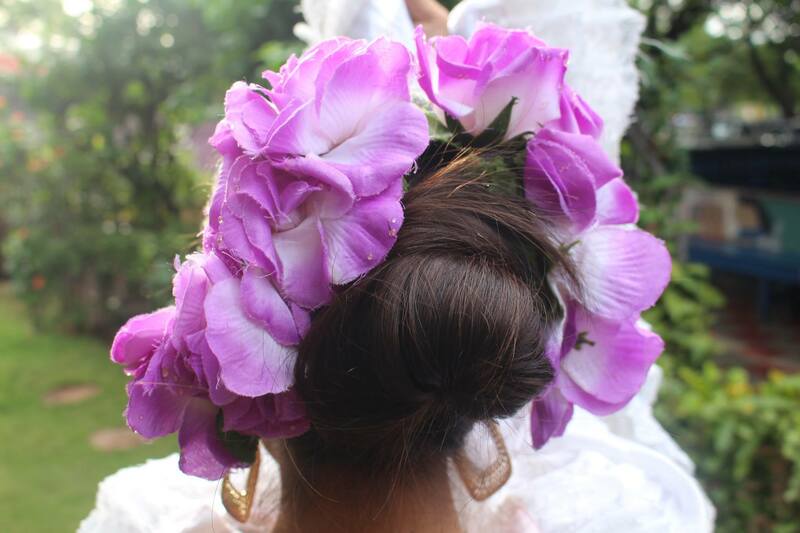 The goal of the Center’s campaign was to raise $15,000 to equip 200 women from Managua with critical life and job skills. 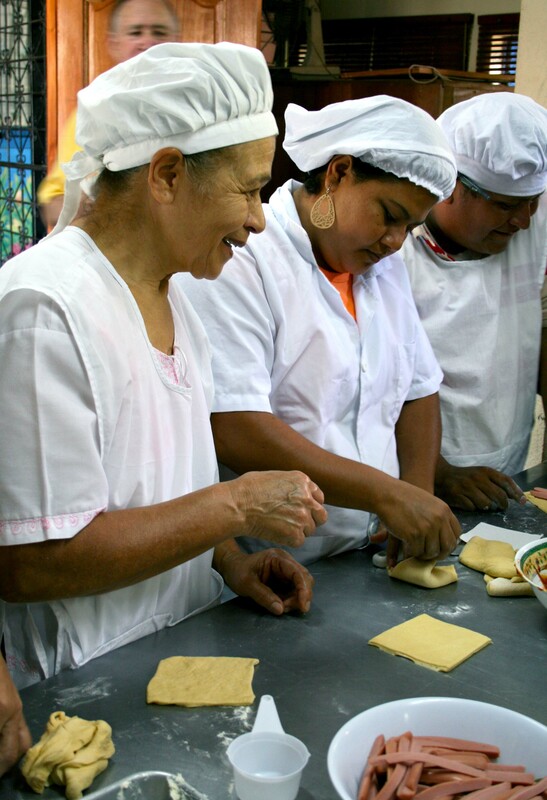 The 200 fortunate women from Managua who will benefit from the campaign will learn strategies to combat the discrimination and violence that keep many women from achieving their dreams. 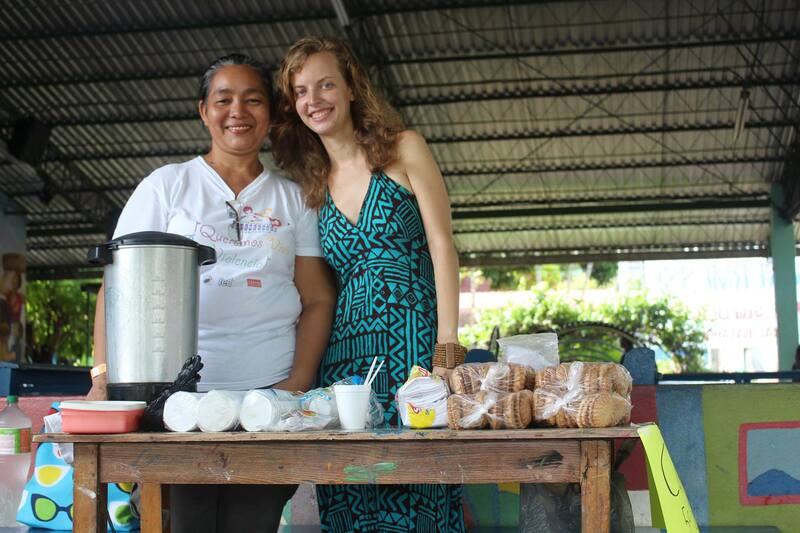 These women will also enroll in the vocational classes, workshops, and job-readiness programs offered at the Center. When the newsletter went to press, the Center had surpassed its goal, raising $15,570 from 143 donors. Congratulations to everyone at the Center who worked on the campaign. What a grand success! Students who receive scholarships through the Center are required to volunteer their time and talents at the Center by helping others. It’s a great pay-it-forward concept with eye-opening outcomes! 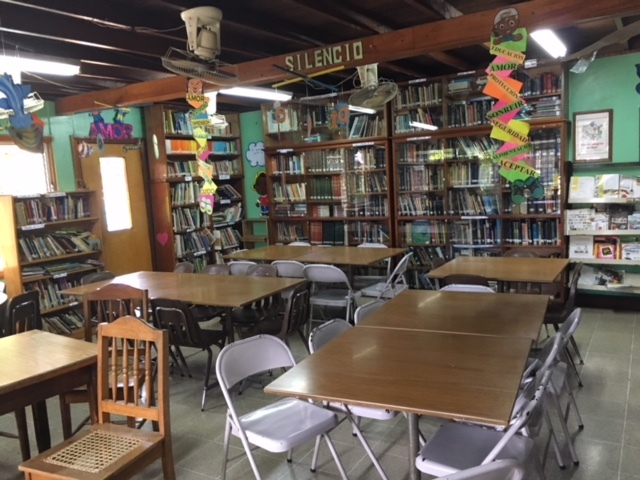 Scholarship students are put in charge of the Center’s after-school tutoring programs and Story Corner reading activities for the younger students. Without even being aware of it when they first get started, the scholarship students are acquiring valuable leadership skills, while learning about commitment and the importance of service. 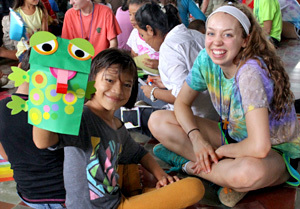 Note: When you read scholarship student Janeth Baez’s story on the next page, you’ll see how service hours which emphasize leadership have been an important part of her experience at the Center. If you would like to provide a scholarship to one of our promising students, go to friendsofbatahola.org/get-involved/project-education. The long road that led Terri Holman to Batahola and to the Center began when she was 18. While working as a professional ice skater, she felt drawn towards religious life and, in particular, to the Sisters of St. Joseph (CSJ). 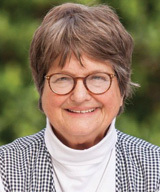 While working in New Orleans, she made a visit to the CSJ convent and the then head of vocations, our own Sr. Helen Prejean. While not pursuing religious life, Terri worked closely with the sisters, serving as a regional development director for nine years. More than 20 years after her initial meeting with Sr. Helen, Terri encountered her again at a dinner. Sr. Helen talked about her dear friend, Sr. Margie Navarro, co-founder of the Center, who had recently passed away. Sr. Helen also talked to Terri about the work going on at the Center. Terri was moved by everything she heard and thought that perhaps she could bring her experience with development work to help the Center. Terri never imagined the impact that her first visit to the Center in March 2002 would have on her life. She was immediately and fully hooked to the cause. 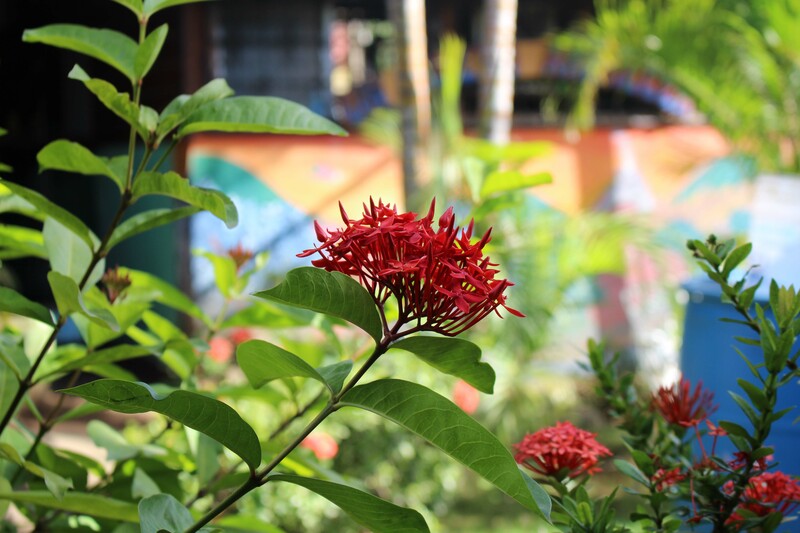 Since that initial visit, Terri has returned to Nicaragua each February with the Friends of Batahola (FOB) board. Most times, she is accompanied by her husband Herb. For many years, Herb, a physician, provided medical consultations to the Center’s students during visits. Later, he focused his attention on the Center’s staff, leading them in Tai Chi classes and providing medical acupuncture. 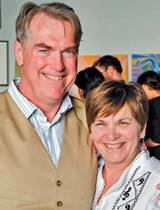 Terri has been President of FOB on two occasions: 2005–2008 and 2013–2014. 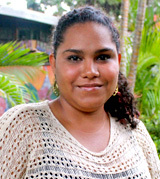 Since 2014 she has served as Chair of the Fundraising and Development Committee. Terri, your love of and dedication to the Center these past 13 years is inspiring. The Holy Spirit was surely at work when you bumped into Sr. Helen at that dinner 20 years ago, and you followed the call! 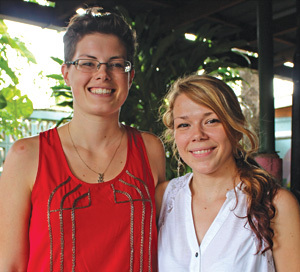 It’s hard to believe that Missionary Movement Volunteers, Kelsey Schrock and Erika Coe, are wrapping up two years of service to the Center. Gracias for all the hard work and love you’ve shown to everyone! In our last few weeks at the Center, we have been incredibly busy with several projects and feel great that we are going out on a high note. After wrapping up work with summer delegations and the Center’s first online fundraising campaign, we are now preparing for the arrival of new volunteers and another fundraiser, the annual Center bazaar. It seems like yesterday that Sam and Andrea picked us up at the airport and brought us to our host families’ homes. It has been an incredible journey learning how to translate for visitors to the Center; getting to know all of the students in the Project Education scholarship program; and being educators, teaching all the English classes. We are also beginning the process of discovering how we will carry this experience back with us to the U.S. We would like to share heartfelt thanks to all those who have supported us by reading our blogs, looking at our photos, and by keeping us in your prayers. Hasta la proxima!! The Center has changed my life! I came to the Center five years ago, and it has been a very moving and important experience for me. I wanted to study but didn’t have the means. I heard about the Center’s scholarship program and applied right away. I’ve taken the sewing, cosmetology, and baking classes. One thing I like most about being a scholarship student is giving back to the Center through social service hours. I’ve been leading tutoring and homework help groups for the younger students, ever since I began my classes. 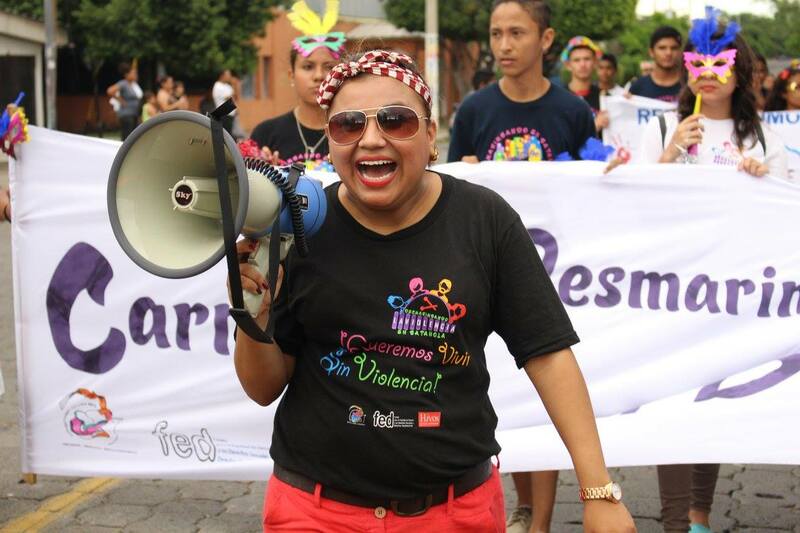 I am also involved in our Youth Network for Violence Prevention program and gender equality workshops. All of these experiences have helped me a great deal. I now realize that I have great value, and, as a woman, I have a great deal of dignity. I am also very proud that my children are studying at the Center and have such a safe and positive space to come to. I can’t say enough about how the Center has affected me. I have studied, and I have improved my home life and the educational opportunities of my children. 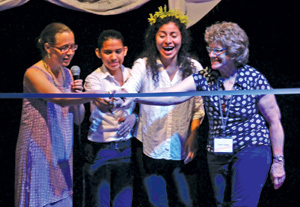 Official ribbon-cutting by Jennifer Marshall, general coordinator at the Center; Ana Sanchez and Georgina Chevez, students in the arts programs; and Sue Keefe from Immaculate Heart of Mary parish in Cincinnati, Ohio, and a Friends of Batahola board member. 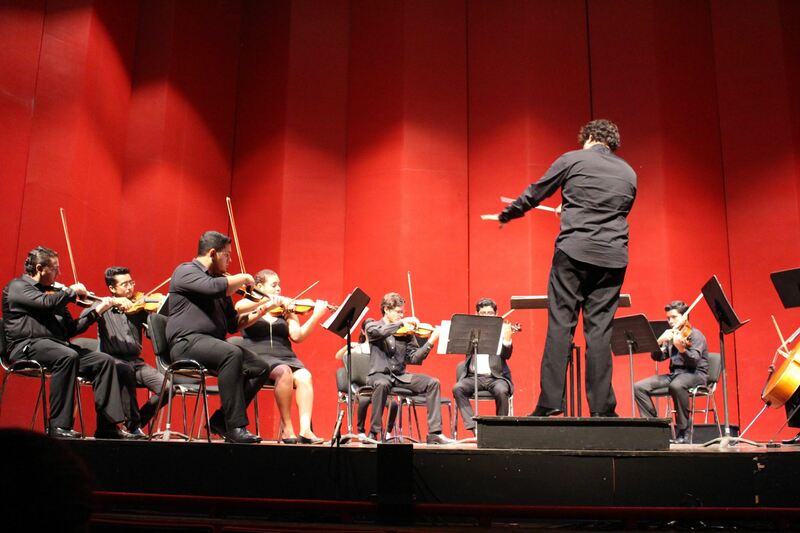 On June 5 the Center officially inaugurated its newly renovated facilities which include a beautiful and much needed rehearsal and storage space for artistic groups, expansion of the current stage, and the expansion of several offices. 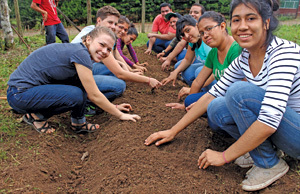 Funding for the project was made possible through a generous donation from the Swiss Agency for Development and Cooperation and a very generous legacy gift from Noel Pedrotty, a longtime Friend of Batahola and member of Immaculate Heart of Mary parish in Cincinnati, Ohio, who passed away in 2013. 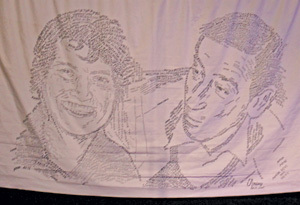 Images of founders Sr. Margie and Fr. Angel created by art instructor Gerardo Arias. The images are comprised of words that sum up their lasting legacy to the Center, including love, peace, solidarity, and hope. 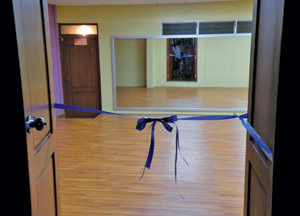 The celebratory inauguration and ribbon cutting took place during a festive cultural presentation. A surprise during the event was the unveiling of artwork created by Gerardo Arias, which beautifully depicts the faces of the Center’s founders, Sr. Margie and Fr. Angel. A peek at the beautiful new addition! Students work on a raised bed for planting as part of a project funded by Prince of Peace Church in Minneapolis, Minnesota. 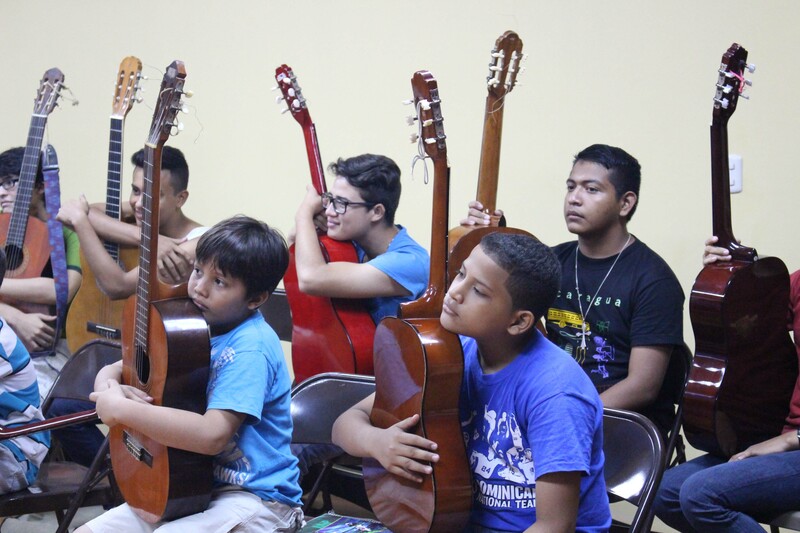 In May, a group of nine students from the Center’s choir, orchestra, and dance groups had the opportunity to travel to Central America’s largest biosphere, the Boswás Reserve, in Jinotega, Nicaragua, thanks to a grant from Prince of Peace Church in Minneapolis, Minnesota. 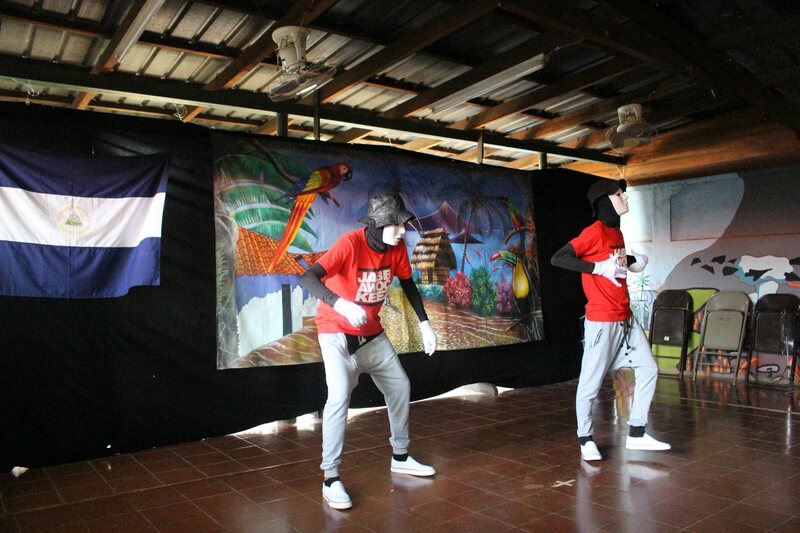 The objective was for students to reflect on the connection between art, music, environmental sustainability, and social justice, while having an exchange with youth and families in the community of Macizo Peñas Blancas. 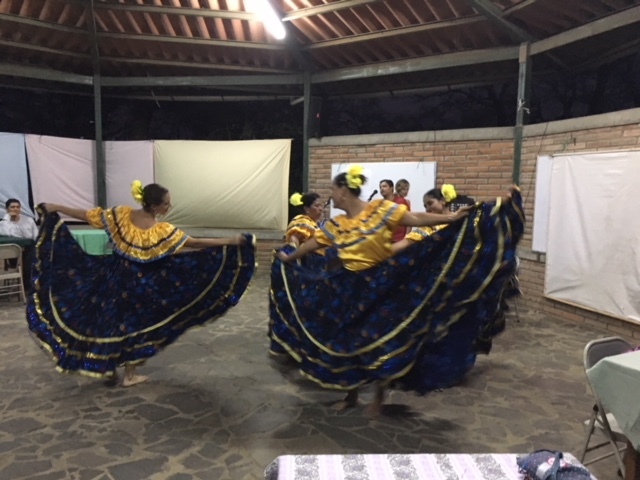 For five days in the hilly tropical forest, the Center’s youth took educational hikes, learned to make a raised bed for planting, participated in a cultural workshop with local youth, designed recycled jewelry with a women’s cooperative, and performed folkloric dances for the community. Students returned to the Center with a passion to apply what they learned. Ivette is 19 years old and has been taking computer and cosmetology classes at the Center for two years, with the help of donor scholarship money. Because she is such a bright and promising student, Ivette was invited to participate in a series of job skills workshops offered at the Center. Like all of the Center’s scholarship students, Ivette is returning service hours to the Center, as a way of helping other students also succeed. She volunteers at the Center’s library helping younger students, and she also spends one day a week helping teach adult students to read and write. She’s paying it forward! 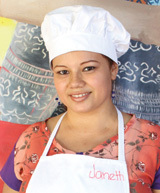 Would you like to support the education of a promising and motivated student like Ivette? Go to friendsofbatahola.org/get-involved/project-education. Sponsor a student! Look for more student and chaperone reflections in the next newsletter!